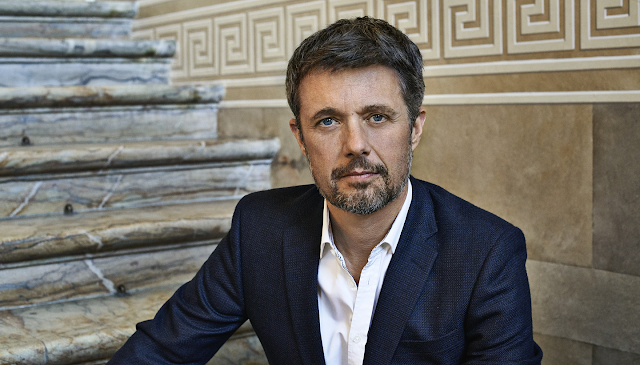 A very happy birthday to Crown Prince Frederik, who is celebrating his 50th today! There's a gala dinner tonight that's shaping up to be quite the gathering of European royals and possibly (hopefully) quite the gathering of tiaras - more on those attendees, timing, and livestreaming at the end of the post. 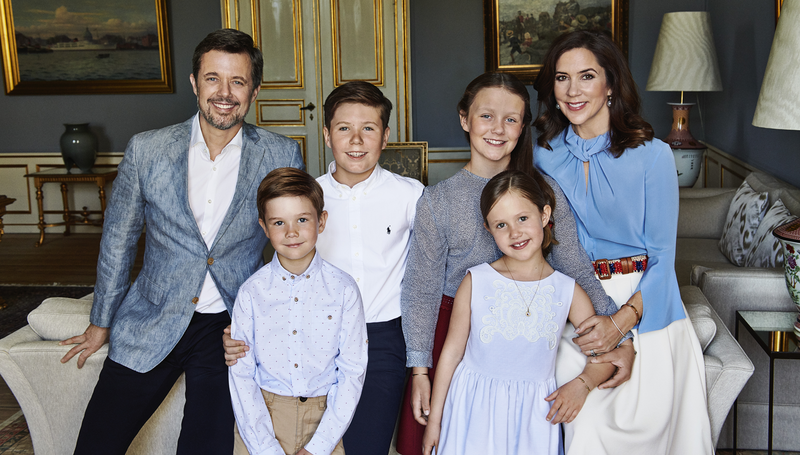 But first, the day began with a festive birthday balcony appearance for Frederik, Queen Margrethe, Crown Princess Mary, and the kids. Mary repeated a Vilshenko dress; Margrethe made sure to wear her diamond daisy brooch, a gift from her mother, Queen Ingrid. 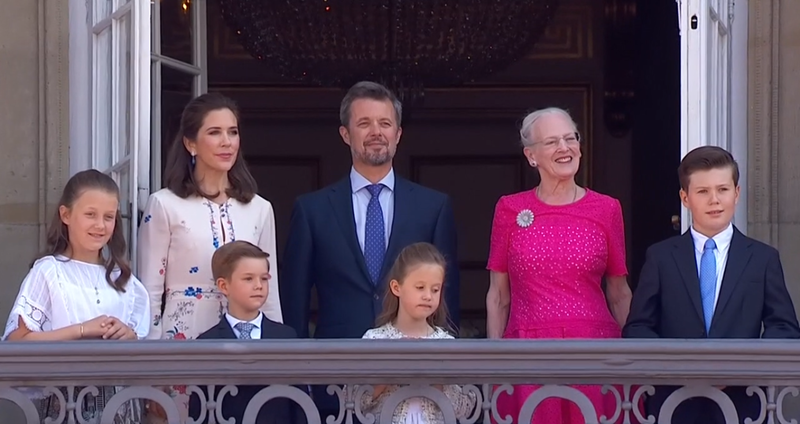 She wears this brooch for a lot of special family occasions, and it has extra significance today since Frederik was very close to his grandmother. And others: A full guest list will be released this evening. 19:00 (7 pm local / 1 pm Eastern): Guests will start arriving. 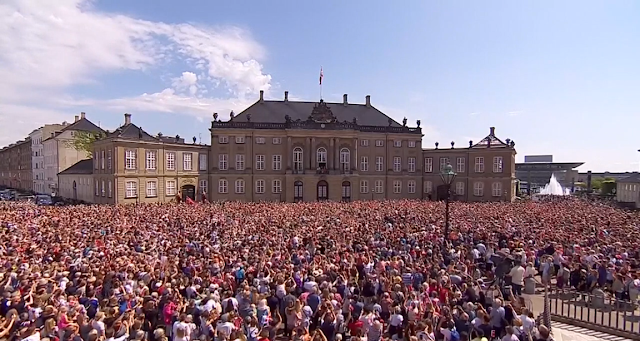 Around 19:30: Frederik and Mary will take a carriage ride to get to Christiansborg. 20:00 (8 pm local / 2 pm Eastern): The banquet begins. Livestreams: I will include links available internationally below, and if you come across more, please share them in the comments. Open Post: Those watching live may feel free to use this post as an open post. We'll have a fashion post after the event as usual.